Security in the VI Service Desk - VIS, Inc. The IBM Notes/Domino® platform provides easy to manage, robust security on the server level, application level, user level, and document level. The VI Service Desk leverages all of the security features the IBM Notes/Domino® platform provides. User access to the VI Service Desk can be managed by using the Access Control List (ACL). The ACL allows administrators to manage seven different access levels: Manager (Access Everything), Designer (Modify all design elements), Editor (create and edit all documents), Author (create and edit those documents), Reader (only read documents), Depositor (only create documents), and No Access. Roles can be created and assigned to users or groups within the Access Control List (ACL) to manage specific areas, such as views, forms, and documents. 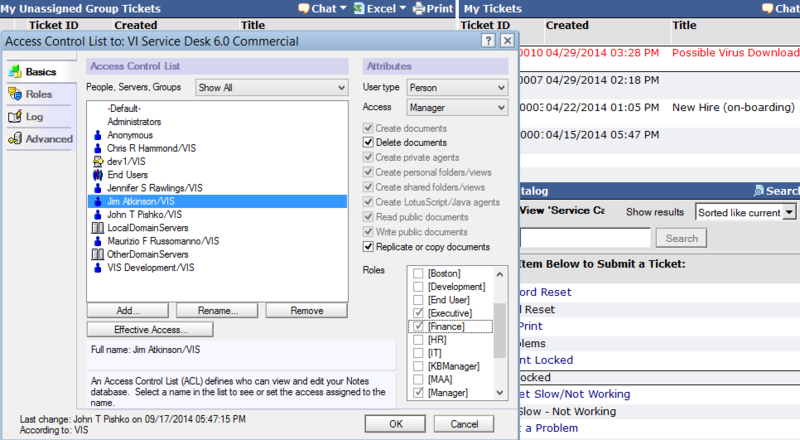 The VI Service Desk includes a Ticket Visibility section on all the tickets types (Incident, Change, Request, and Problem) to provide access to users or groups who have the designated role. 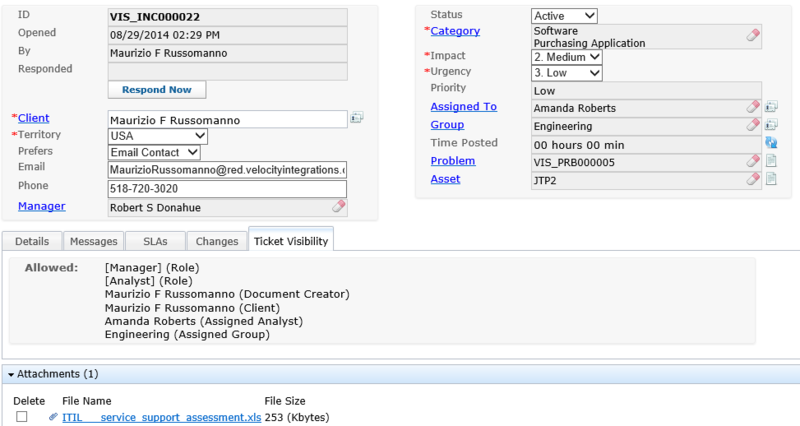 The VI Service Desk makes excellent use of Roles to easily manage ticket visibility based on Territory. Within the System Settings, Territory can be used on a departmental to country/global level depending on the scope of your organization's Service Desk usage. Take advantage of HTTPS by creating your own SSL certificates from the Domino server. This allows for secure encrypted Web browsing, ensuring that all data sent between the user and the server is encrypted, and preventing hackers from accessing the information while it is in transit.